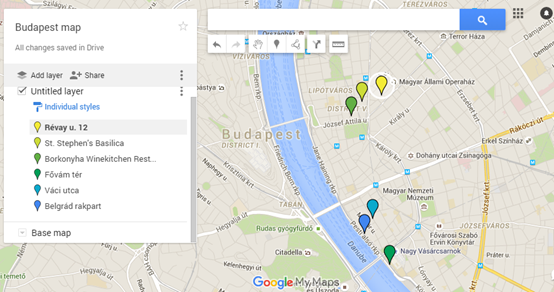 Welcome to our 3 days Guide to Budapest in Hungary. 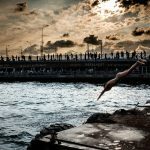 In this guide you will find a step by step plan on how exactly to spend 3 days in Budapest and what to do every hour of your stay. All costs, tips, maps are included for your convenience. 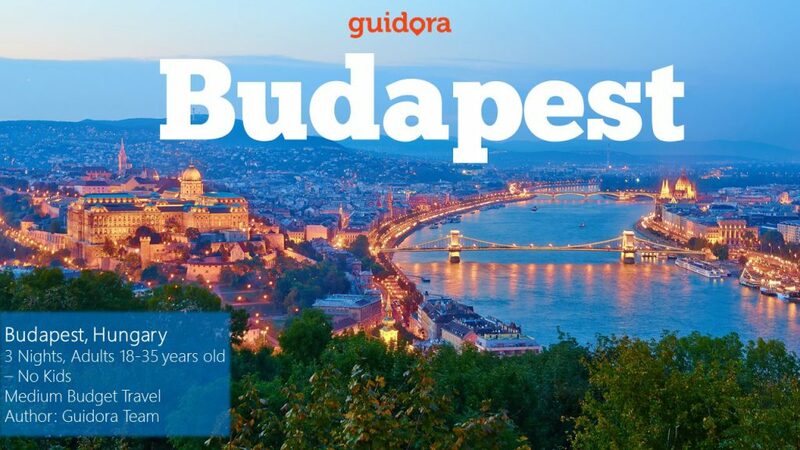 This guide has been developed with the help of local experts of Budapest, with the hope to make you feel like you have your best friend guiding you to the best things to do in Budapest in 3 days. 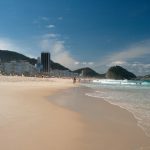 To Read Reviews of the Hotel on Booking and Book it online Click Here. It has a great rating of 9.2 out of 10 in Booking.com. We lived in the same street for a year and we absolutely loved the area. 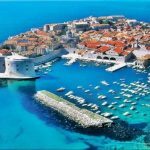 You can expect to pay a Price / night of 25000-50000 (depending on the terrace connection) for a double room. 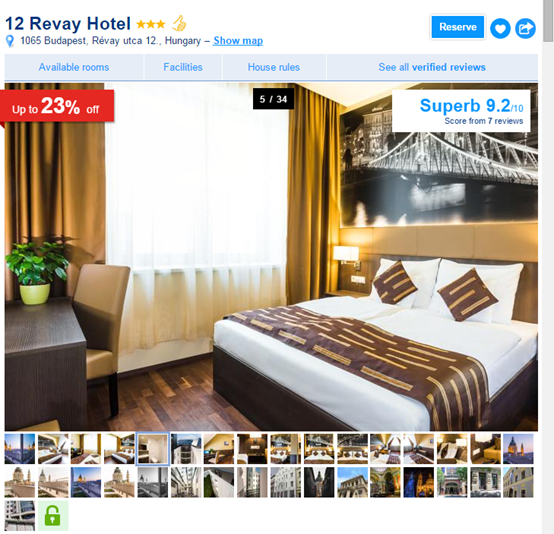 It is modern, comfortable with clean rooms and it is located in Budapest’s city center being close to various attractions. 09:45 – Arrival at the Liszt Ferenc International Airport, which is located 16km east-southeast of the city center. Formerly known as Budapest Ferihegy International Airport and still commonly called just Ferihegy, is the international airport serving the Hungarian capital city of Budapest, and by far the largest of the country’s four commercial airports. It was renamed in honor of Ferenc Liszt on the occasion of the 200th anniversary of his birth. 09:55 – Take the luggage and pass from passport control. It does not take more than 3 to 5 minutes to pass through the baggage claim area and exit to the arrivals terminal, especially if you’re travelling only with a hand luggage. 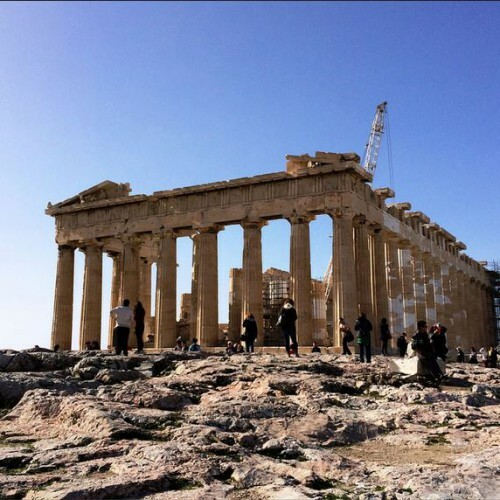 11:20 – Accommodate in the hotel and then visit the top monuments on foot. 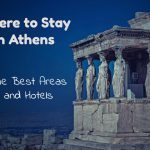 Accommodate yourself in the hotel and then start your day visiting some of the famous monuments of the city, all of them easily reachable by walking. This restaurant/wine bar blends the functions of a French bistro, a Hungarian family restaurant, and a wine shop and bar. Its selection contains 200 types of mostly Hungarian wines by wineries small and large. Small wonder that the Borkonyha got a Michelin star in 2014! 15:30 – Visit the Market at Fővám tér, Budapest’s famous traditional market, with lots of meat, vegetables and fruits. 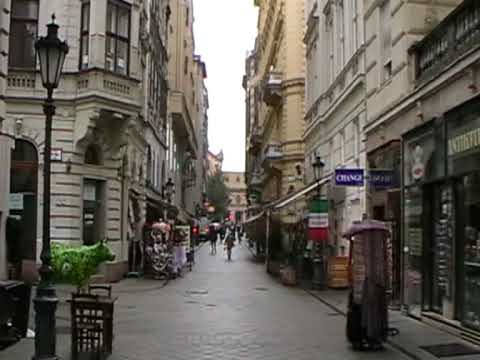 18:00 – Walk through Váci Street, this is the busiest and commercial street in Budapest. 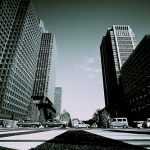 Since these streets are completely full of inhabitants and tourists, beware of pickpockets. Relax in one of many cafes alongside this beautiful avenue. 20:00 – Dinner at the Belgrád rakpart area, where there are many nice restaurants, so you’ll certainly make a nice choice. And as a bonus you will have a stunning views to the Danube. 22:00 – Walk back to your hotel and rest. There are various ways to get to the city center. It depends on the amount you can afford. I usually took the bus and metro. Ther operating bus is line 200, 200E. Taxi: 4000-7000HUF to the accommodation (approximately: 25min). Use only the yellow cabs! The public bus (Lines 200, 200E). Clearly the easiest way to get into Budapest city center. Just follow the information displayed in the arrivals terminal and you’ll reach the Bus very fast. 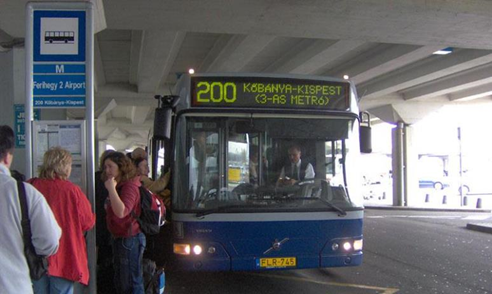 Buy normal ticket (350HUF), which can take you to Kőbánya-Kispest stop. 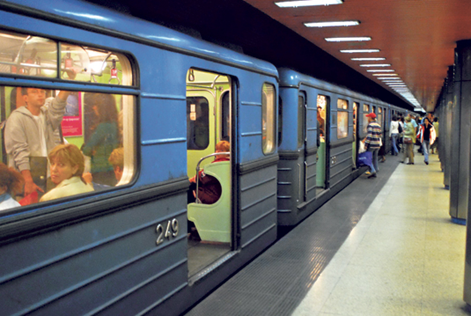 Then, hop on the Metro 3 (blue line) and take 10 stops to get to Deák Ferenc tér. Info: St Stephen’s Basilica of Budapest is one of the most beautiful and significant churches and touristic attractions of the country. 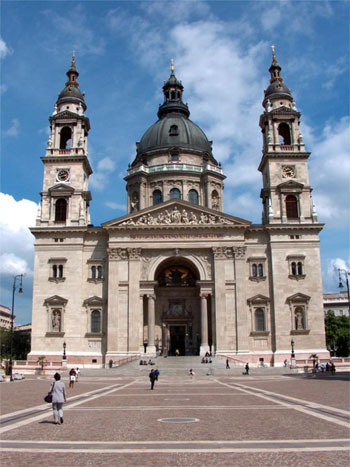 This is partly due to its historical heritage, of being dedicated to the holy king St Stephen who was also the founder of the Hungarian state, and partly to the architectural and artistic value of the building itself. A campaign to raise funds for the construction of the church commenced in the 1810-es, however, construction works did not start until August 14, 1851. Borkonyha is located in Sas Street, just a few minutes walk from St. Stephen’s Basilica. This restaurant/wine bar blends the functions of a French bistro, a Hungarian family restaurant, and a wine shop and bar. Its selection contains 200 types of mostly Hungarian wines by wineries small and large. The kitchen works with daily procured fresh ingredients, which also ensures variety. Chef Ákos Sárközi likes to draw inspiration from Transylvanian cuisine, but he is also familiar with Spanish, French and Italian methods. The kitchen is rich in flavours, the wine selection is wide and flexible, and the service is informal. Small wonder that the Borkonyha got a Michelin star in 2014! The biggest market hall of the city, the Központi Vásárcsarnok,stands right next to Pest-end of Szabadság híd. It was opened in 1897 and was renovated completely for its 100th anniversary. 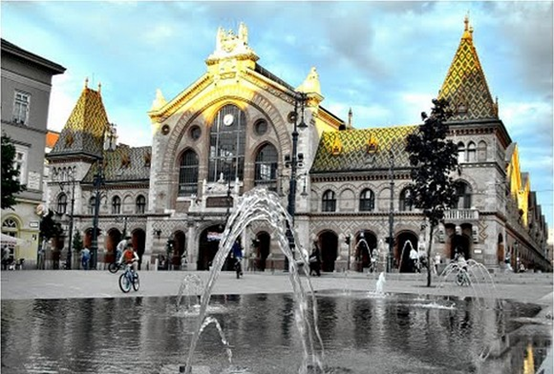 Váci Street is the most renowned pedestrian shopping street of Budapest. It stretches to a little more than a mile between Vörösmarty Square and the Great Market Hall. This is the end of the 1st day of our travel guide to Budapest. 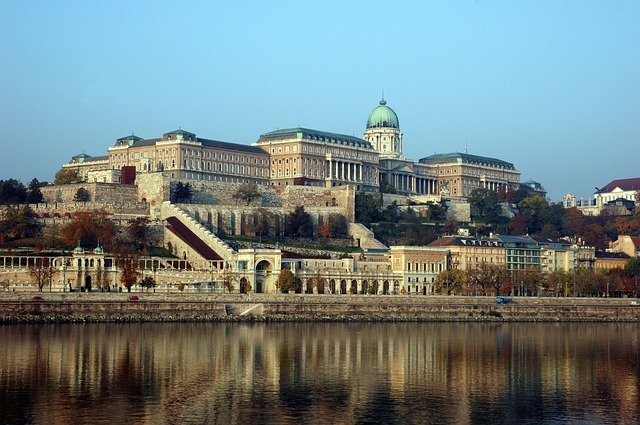 If you want to get the whole 3 days travel guide to Budapest, you can do that by clicking here.